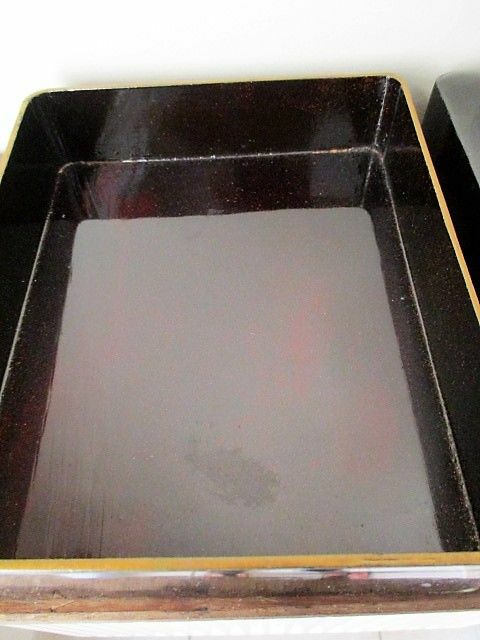 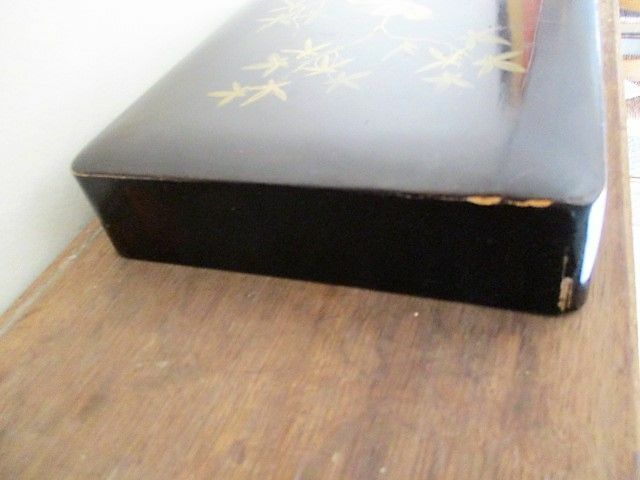 The outside of the box is black, the inside is shading from deep wine red to dark brown with golden splashes . 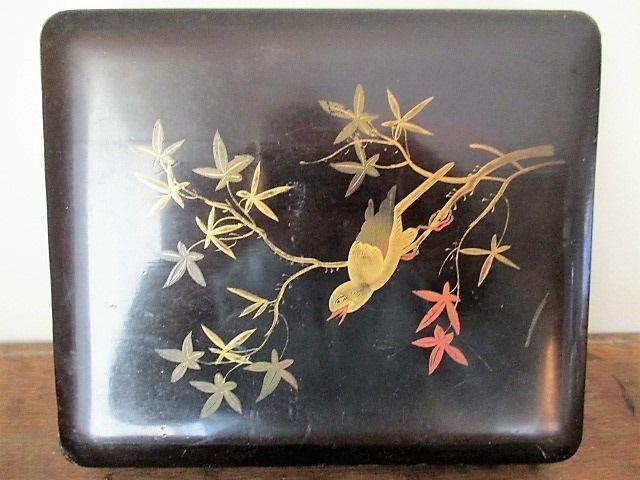 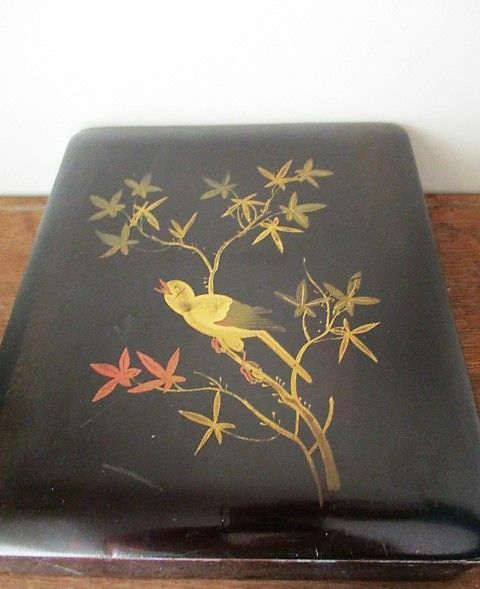 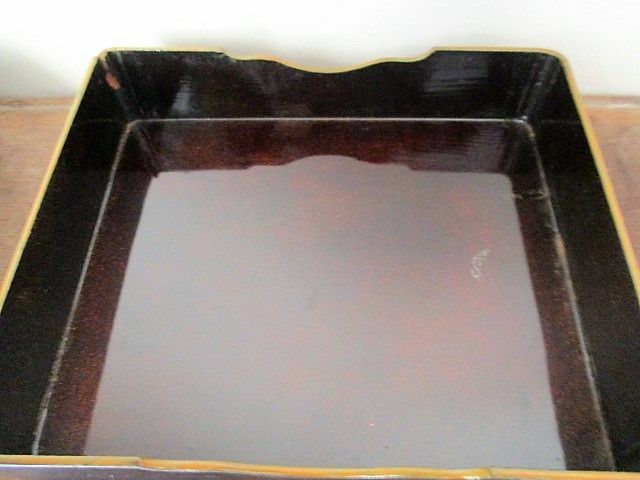 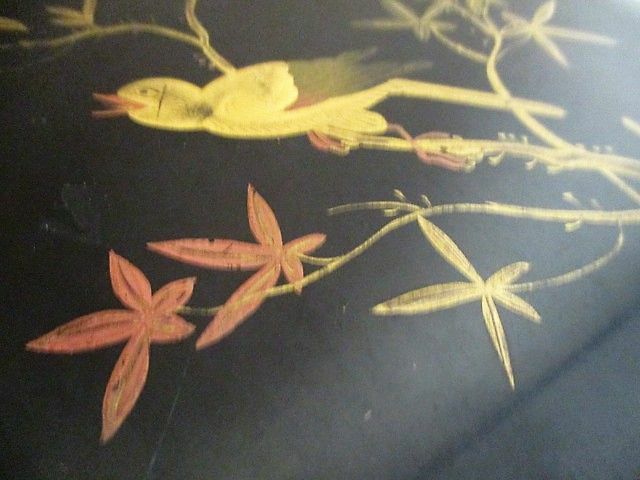 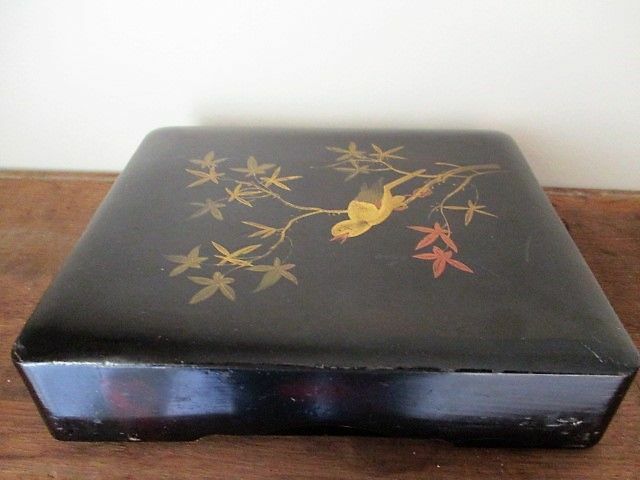 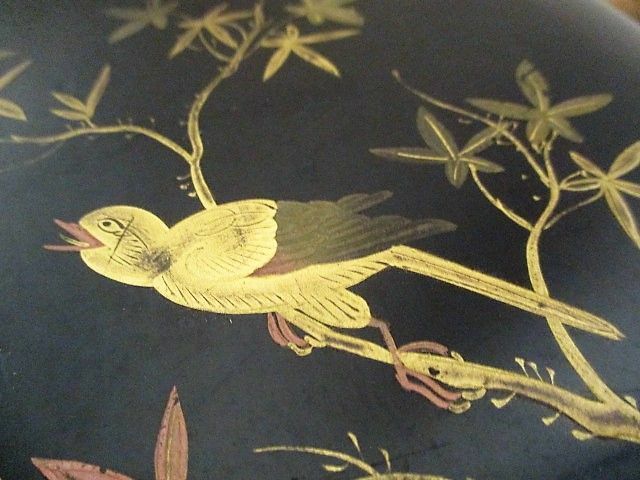 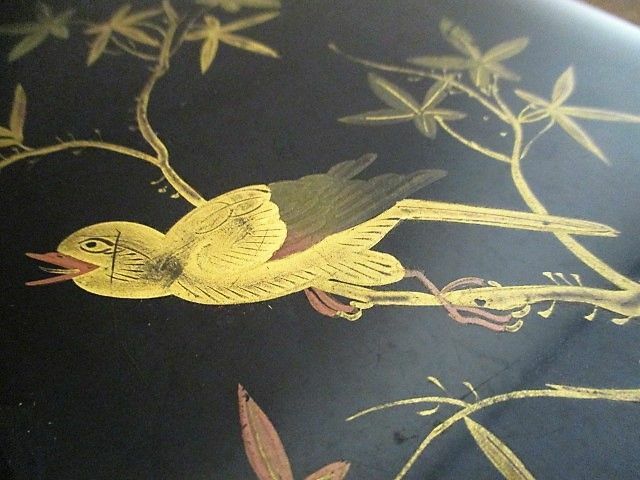 The cut out of the lid is beautifull made and the edge of lid and box are finished with gold paint . 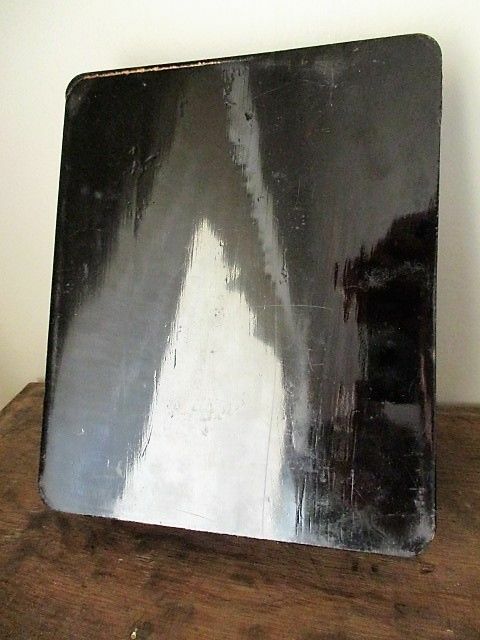 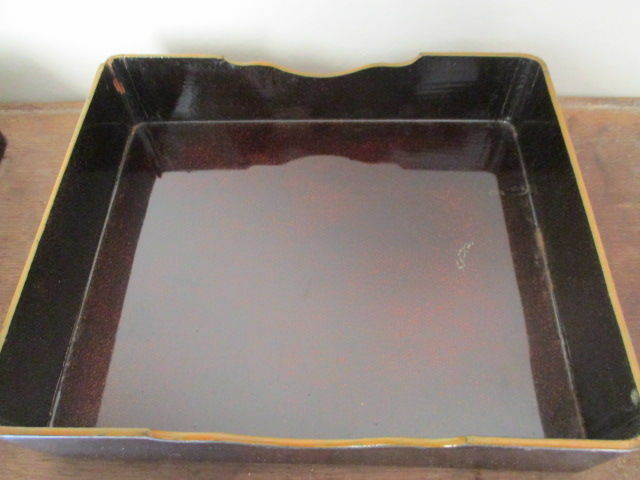 One edge of the lid has suffered a bit , see the last photo.